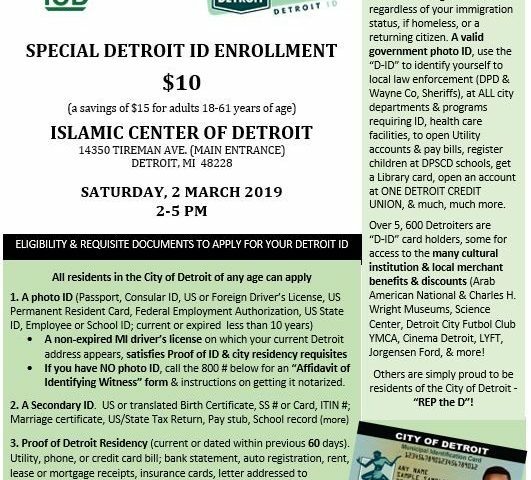 The Detroit ID, is an independent card that benefits ALL eligible Detroiters regardless of your immigration status, if homeless or a retiring citizen. A valid government photo ID, use the “D-ID” to identify yourself to local law enforcement (DPD & Wayne Co. Sherriff’s), at ALL city departments & programs requiring ID, healthcare facilities, to open Utility accounts, pay bills, register children at DPSCD schools, get a library card, open an account at One Credit Union and much more benefits. 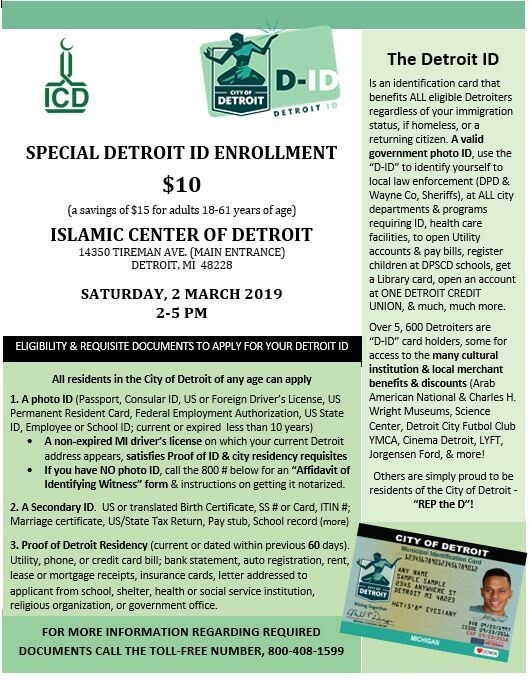 A special Detroit ID Enrollment will be held at the Islamic Center of Detroit (ICD) located at 14350 Tireman Road Ave in Detroit on Saturday, March 2, 2019 from 2:00PM to 5:00PM. All residents of the city of Detroit can apply.